A couple of important mystery announcements today: First, the third installment in the conversation between Chris and I discussing our respective mystery series set in the Florida Panhandle, is up over at her blog, ChristyMystery. Give it a read. Second, I'm pleased to announce that I need to write faster. 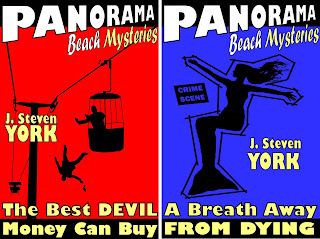 The master plan for the future of my "Panorama Beach Mysteries" series has been firmed up four titles in advance of the two already available in ebook (and soon, print) form. 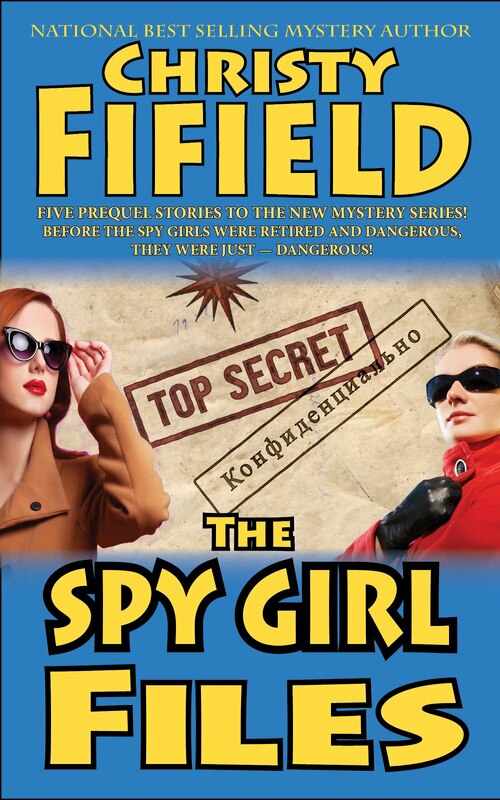 My initial plan for the series was to write four individual, shorter, mysteries that I could eventually publish as one volume in both print and ebook form. That's still the plan, though with both "The Best Devil Money Can Buy" and "A Breath Away from Dying" finished, the installments are getting longer, and I'm not sure how long parts three and four will end up. 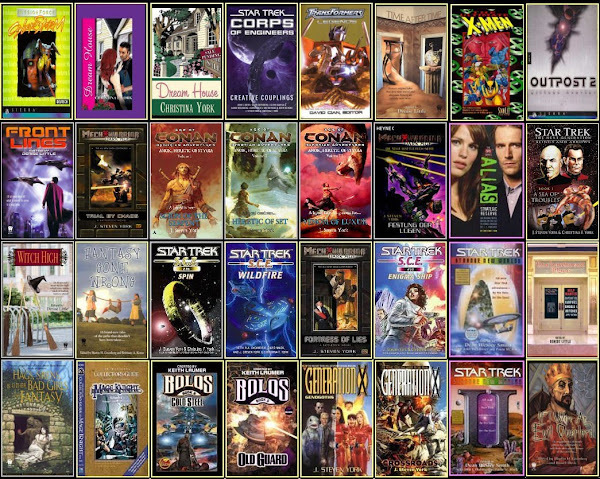 So I might end up with two volumes, or even three by the time I'm done (with those four). The next two are were well mapped out, and I'm about to start writing number three, "The Beat of Angels Wings." Here's the pitch on that one. The actual setup has changed slightly since I wrote this, but it's close. When Deputy Mustang Sawtell witnesses a sight-seeing helicopter crashing into the surf just off Panorama Beach, it seems a matter for federal investigators -- until it's learned that the pilot died not from the crash, but from a gunshot wound sustained before takeoff. With no crime scene, no suspects, no witnesses, and most clues washed away by the surf, it seems an unsolvable crime. But when a second dead body shows up with helicopter connection, it's no coincidence. To solve the crimes, Mustang will need to match wits -- and nerve, with a fraternity of veteran Korean war air-ambulance pilots, united in war, divided by secrets, and capable of delivering both mercy -- and death -- from above! The wrap-up for the 1967 series is "By the Rocket's Red Glare." Here's my pitch (again, subject to revision): When an off-course Air Force test missile crashes in an undeveloped area of Panorama Beach, the resulting forest fire leaves more than ashes. When Sheriff's deputies are called in to help search the scorched forest for missile parts, Mustang finds a shallow grave with three skeletons, each with a bullet hole in their skull. Now, an old murder investigation is turning red hot, the FBI and the State Patrol are taking over Panorama Beach, and Mustang's enigmatic boss, Sheriff "Big" Bass, is the prime suspect! Can Mustang solve the murders, can he save Big Bass, and does he even want to? I initially didn't have strong plans beyond that, except that those four would all take place in the summer of 1967, and the next series would cover the year 1968, a turbulent year in US history, and also an election year for Mustang's boss, Sheriff "Big" Bass. But while I was working on those two books in my head, I was thinking about Mustang's back story, and some of the things that made him the man he was in 1967. And out of that came another story, "Small Bones." This isn't actually set in Panorama Beach, so I may simply publish it as "A Mustang Sawtell Mystery." The Pitch: Still reeling from the events of summer, Mustang receives a phone call from his old station in north Pascua County. The skeletal remains of a child have been discovered in his home-town of Pinodeoro, and they're believed to be those of his childhood best friend, who was abducted while walking along a highway when Mustang was ten. Stunned, he drops everything and goes to the crime scene, but after seeing the body, he is banned from the crime scene by the investigating officer. He's too close to the case. But Mustang can't make himself goes far, and moves into his shuttered childhood home to watch from afar, dealing with survivor's guilt, old ghosts, bitter memories, and probing the darkest shadows of his own past -- where he is certain a killer awaits! When a staged gun-fight at the Dodge City western town attraction in Panorama Beach goes horribly wrong, Mustang finds himself on a dusty western street with two dead bodies, two shooters, no doubt about who show whom, and no suspects at all. It's either a most unlikely accident, or a most elaborate murder. But who did it, how, and who was actually the intended victim? A candidate for either role, is the "Sheriff" of Dodge City, who was replaced in the gunfight at the last minute, and who is now a torn in Mustang's side. And as he investigates, Mustang will learn that although "Dodge City" may be as fake as a cigar store Indian, the politics, rivalries, and secrets it hides are as real as any, and that he may just have to draw down with the Sheriff to catch a killer! Hope you're looking forward to them half as much as I am!